Your oral health is very important. Your teeth are one of the first things that anyone notices as soon as you meet them. Our eyes like to wander when we meet someone new, and we naturally like to look at what another person has going on. An unsightly smile or a mouth that has seen better days can leave a bad first impression. It’s a tough job market out there – do you think a less-than-stellar smile is going to get you a job? Most likely not. There are many reasons for why keeping your oral health in fantastic shape is important whether you’re 9 or 90. Our San Marcos, TX office wants you to know that practicing good dental hygiene habits can help you maintain fantastic oral health. By coming in for regular checkups and cleanings, you’re already doing your mouth a huge favor. Dr. Donnelly and Dr. Wang are the San Marcos dentists that you can bring your family to see to keep their oral health firing on all cylinders. We want nothing more than your family to live your lives free of dental disease and show off a beautiful smile. We house the dentists Wimberley, San Marcos and New Braunfels residents trust. It’s an easy process, most people just choose not to take the time to improve the health of their mouths. 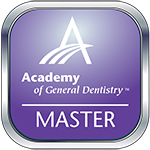 First, it’s essential that each person is practicing great oral health by installing a proper brushing and flossing technique. You’d be surprised to know that there is a right and wrong way to brush. There are many online outlets you can use to search for good brushing and flossing techniques. If you’re not brushing or flossing, your oral health is already suffering. Why anyone would opt not to brush and floss their teeth is beyond us, but it’s the first step in keeping great dental hygiene. In addition to proper brushing and flossing, coming in for a general checkup is equally as important. This gives our dental team a chance to get a good look at what’s going on inside your mouth. There’s only so much you can see when you smile in the mirror or try to look for any problems. While you may be able to see the onset of a cavity or another dental issue, there may be additional problems that are unbeknownst to you. Dr. Connelly and Dr. Wang will thoroughly examine each tooth to ensure the health of your mouth. Any issues will be addressed by the team, followed up with the proper treatment. Finally, you can maintain good oral health by staying away from food and drinks that are terrible for your teeth and bad habits like smoking. These both could lead to teeth staining, cavity development and the onset of gum disease. You should treat your teeth like you would any other part of your body and ensure it remains healthy. If it’s time for a checkup, we’d like to treat you. It’s just one more step in keeping your oral health in check. 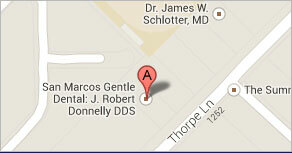 If you’re serious about getting you and your family’s oral health like we are, our San Marcos, TX office can help. Dr. Donnelly and Dr. Wang are the dentists New Braunfels, Wimberley and other cities call on for excellent dental care.